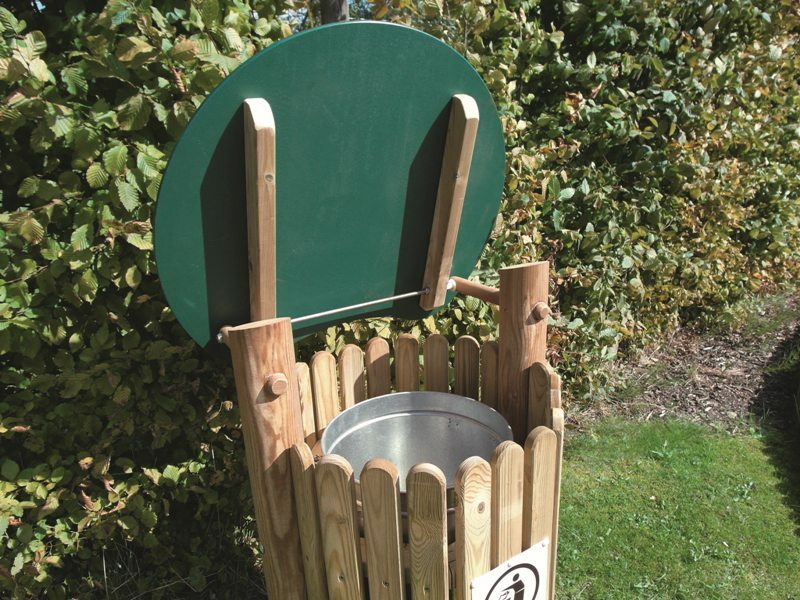 This litter bin with lid is hinged to provide easy access to the container. 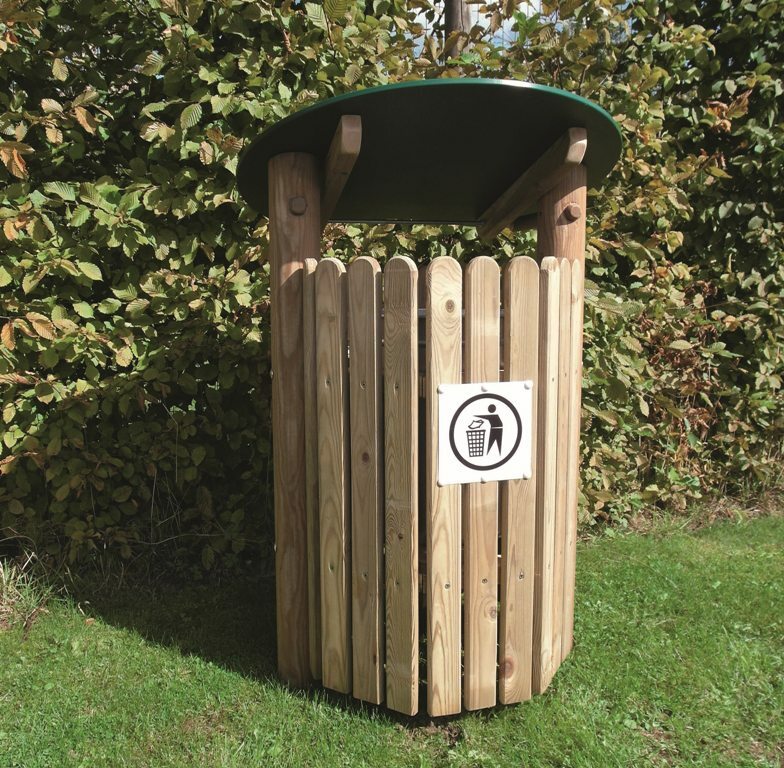 A galvanized container fixed by a vandal resistant chain will be provided. All boards are fixed by stainless steel screws.